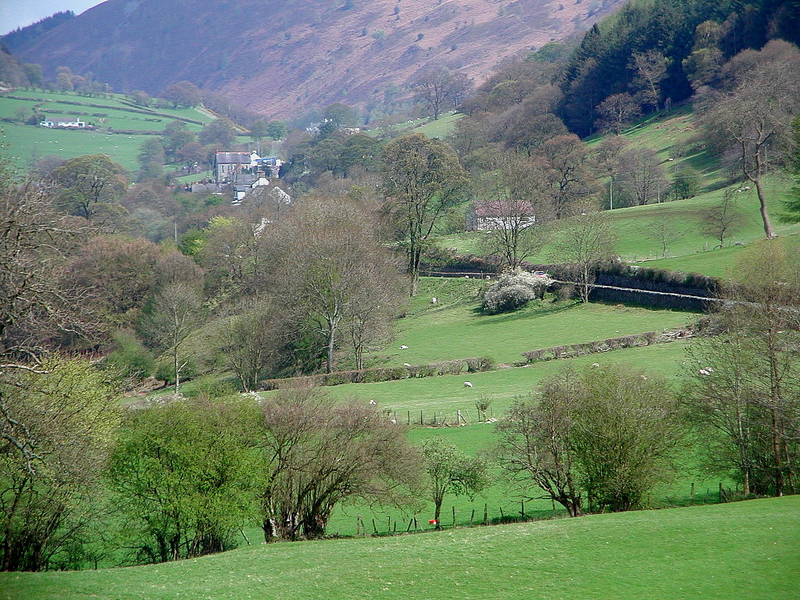 From Llangollen, take the A5 towards Corwen. Site is visible on RHS after 7.3 miles. Footpath over style leads to site. Below: the site viewed from a small parking area across the road. 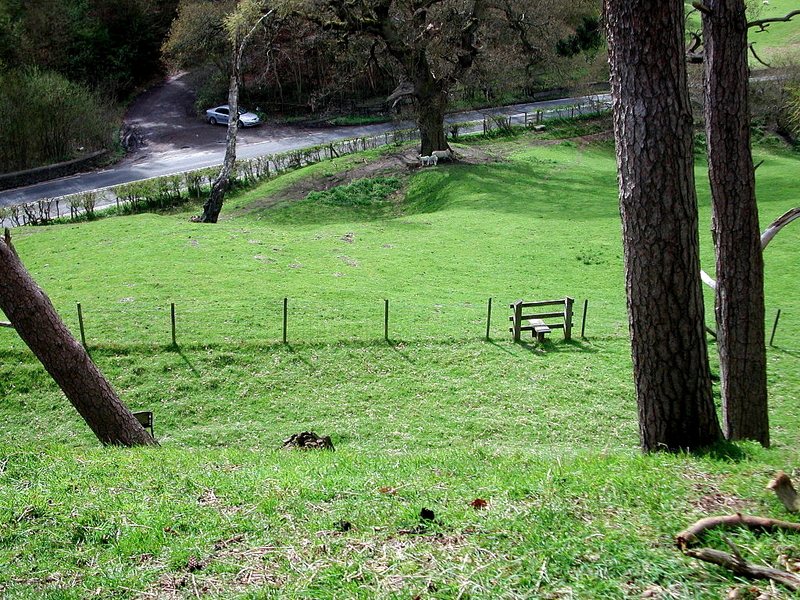 Owain Glyndwr's Mound, which occupies a commanding position overlooking the Dee valley, is 6.5m high, 36m across the base and 12m at the top, with a ditch 1m deep on its west and south-west, towards the road. 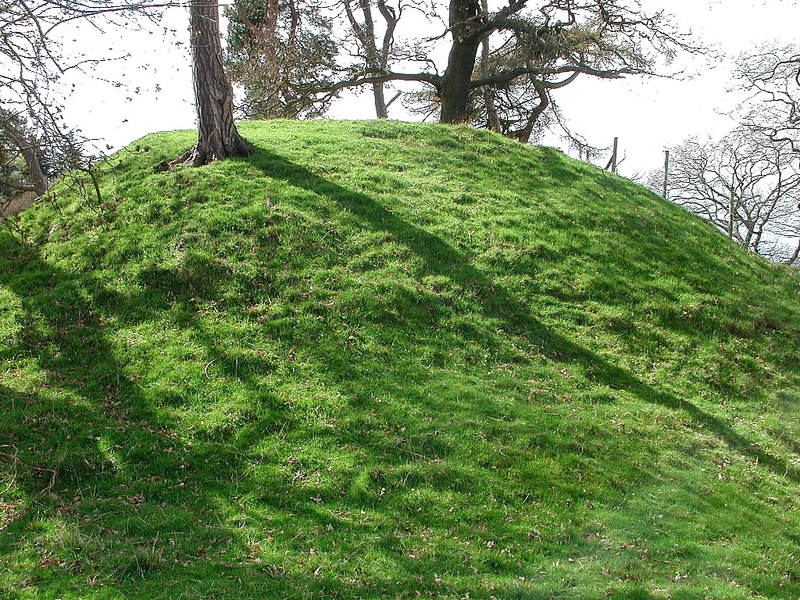 It is probably a motte, although no bailey has been traced. 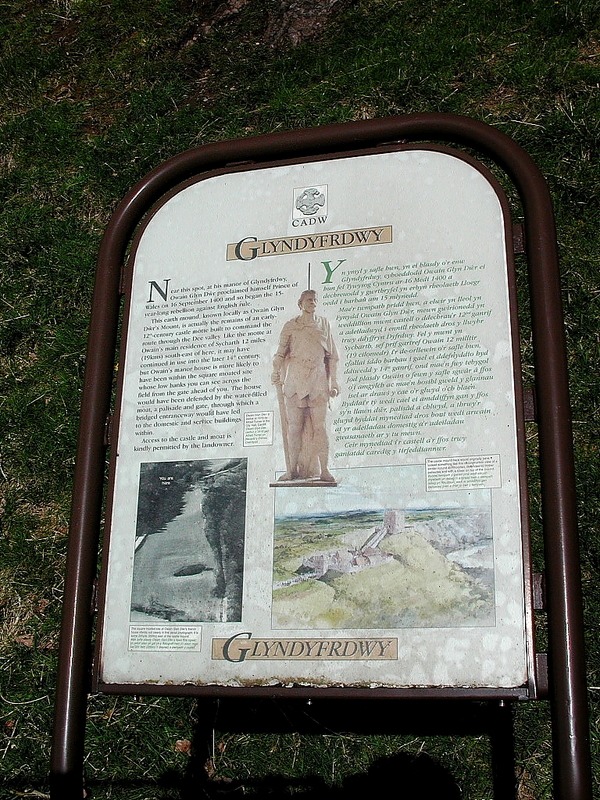 Its active life would have been well before Glyndwr's rising in the early 15th century; in the same field, however, not visible from the road, is a moated site, destroyed in 1403, with well-attested connections with the hero. It is not known when the property came into his family's hands. 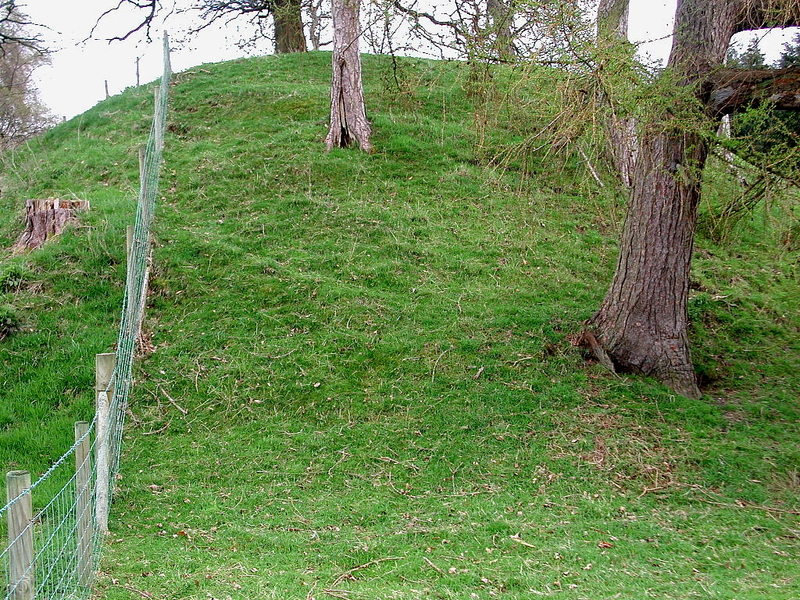 Extensive erosion repair and control works, including the use of various kinds of protective mesh, were carried out on the motte in 1991, to combat damage arising from sheep trampling in soil exposed by the failure of turf on the mound. This work is experimental, but results so far have been encouraging. Near this spot at his manor of Glyndyfrdwy, Owain Glyn Dwr proclaimed himself Prince of Wales on 16th Sept 1400, so beginning his 14 yr rebellion against English rule. 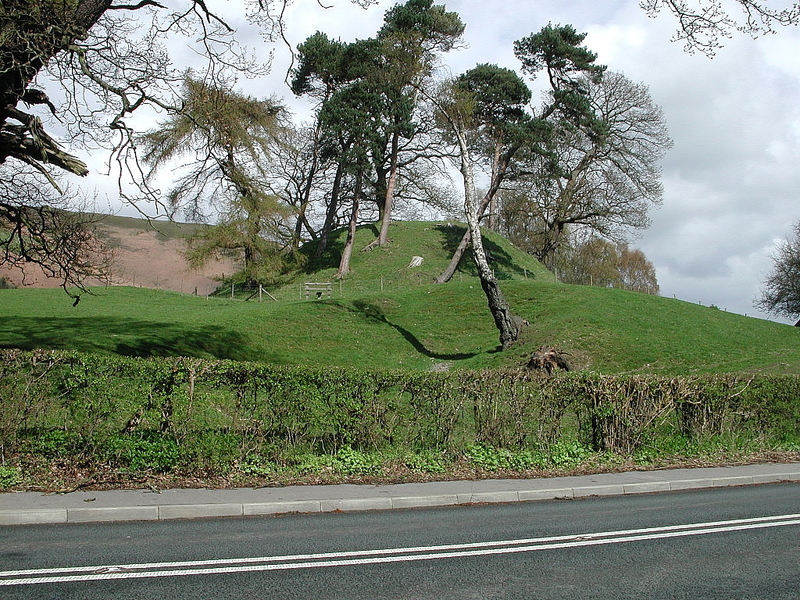 This mount, known locally at Owain Glyndwrs Mount, is actually the remains of a 12th century castle motte built to command the route through the Dee Valey. 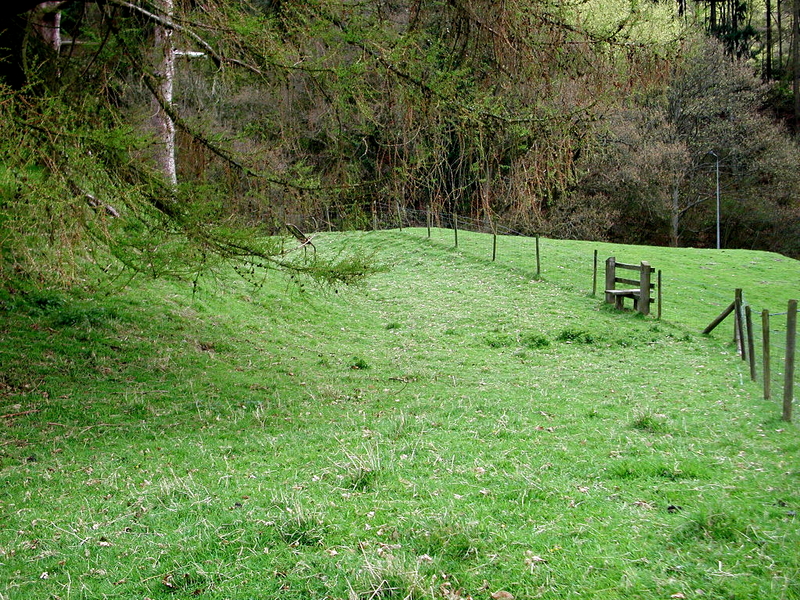 Like the motte nearby at Sycharth, it may have continued in use until the late 14th Century but Owain's manor is likely to have been in the square moated area across the field. This would have been defended by a water filled moat, pallisade and gate. 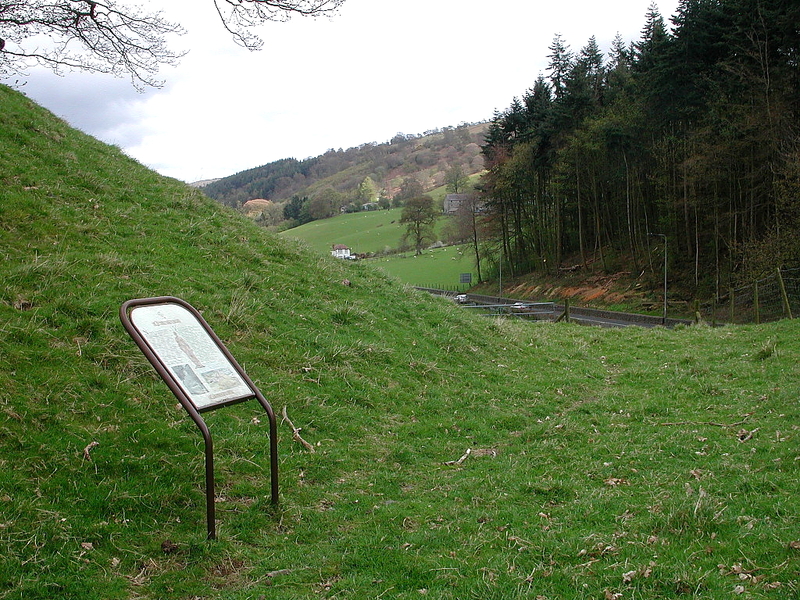 View of the motte and the Cadw plaque. 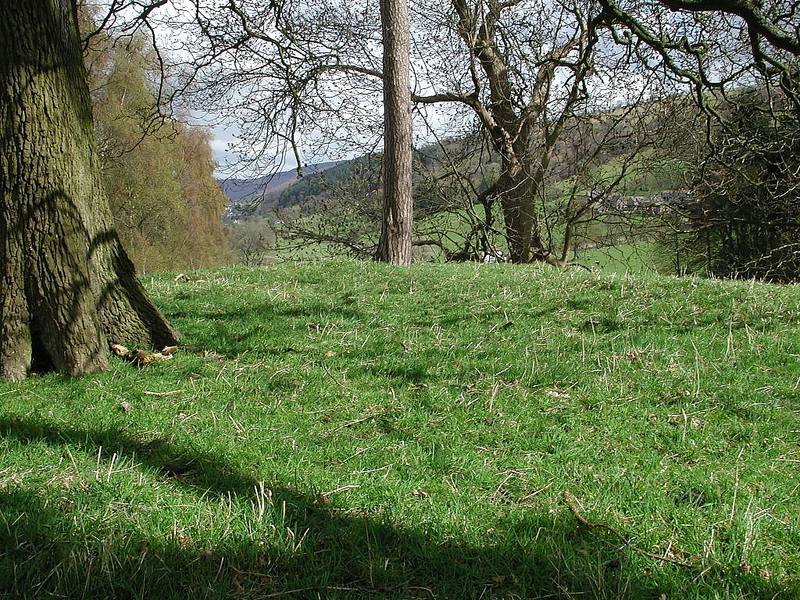 View across the top of the motte at Glyndyfrdwy. 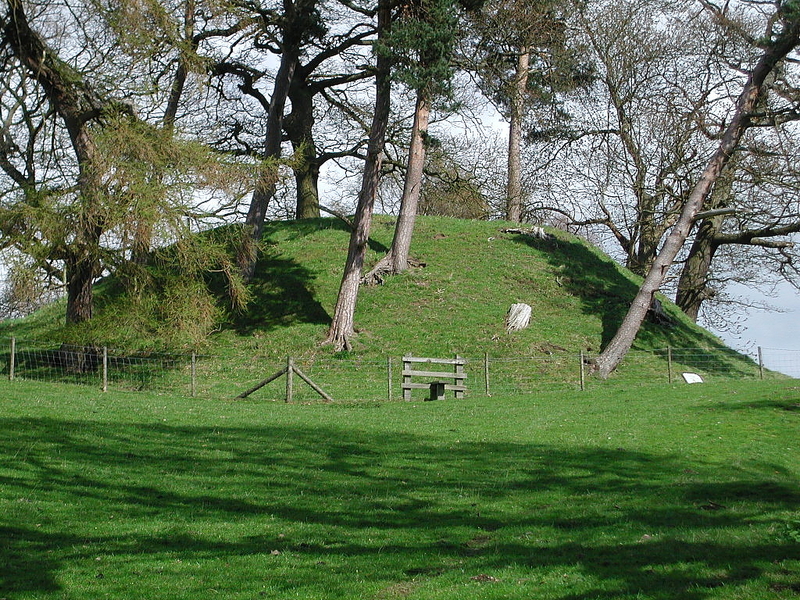 Different view of the motte from the west. According to historians, Glyndwr's manor is likely to have been in the square moated area across the field. 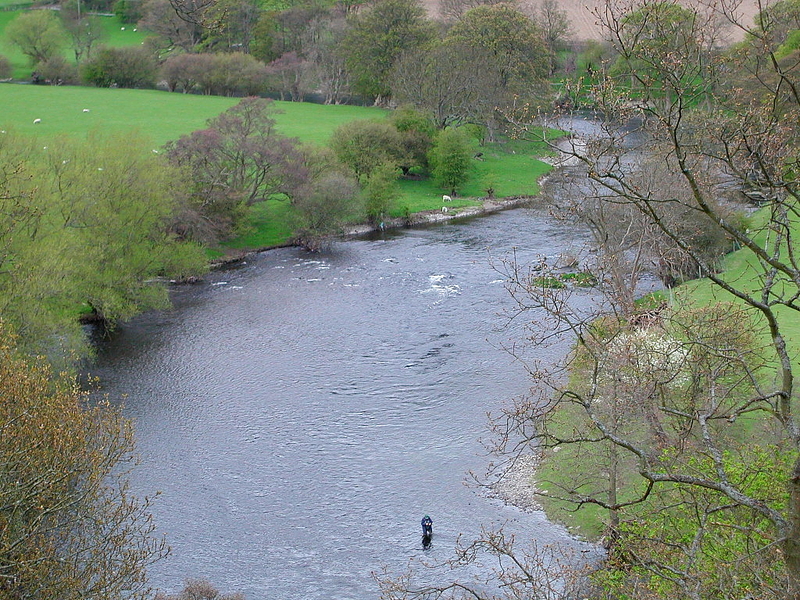 The River Dee which runs next to the site would have provided water for the manor.